Launching in the Australian market this month, the Edifier M1360 is a sleek and affordable audio system that delivers quality sound from any notebook or PC. With a wooden medium density fibreboard (MDF) enclosed subwoofer, the M1360 not only resists vibration, its front bass reflex port delivers rich and detailed sound. The subwoofer’s unique downward angle design also allows for enhanced bass performance. Complete with a 3.5mm stereo input on the wired controller and an RCA input on the back panel of the subwoofer, the M1360 is ideal for all multimedia applications. The Edifier M1360’s sleek and contemporary design is a stylish addition to any LCD monitor or display in the home or office. 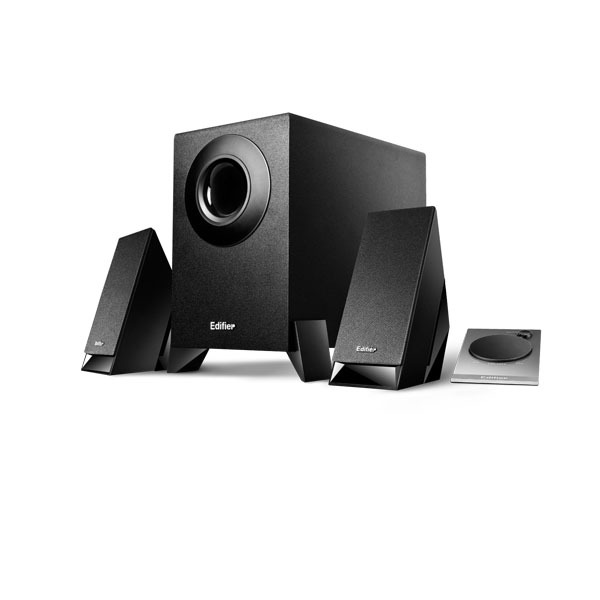 Together with its design and functionality, the Edifier M1360 multimedia speaker system is a reflection of Edifier’s continued design and audio improvement for this product category.